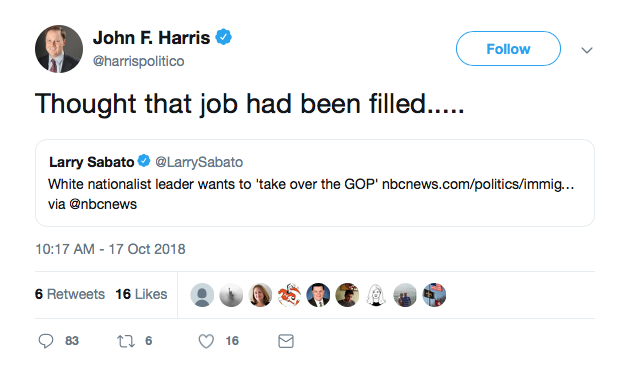 The editor-in-chief and co-founder of Politico, John F. Harris, implied Wednesday that he thinks President Donald Trump is a white nationalist. 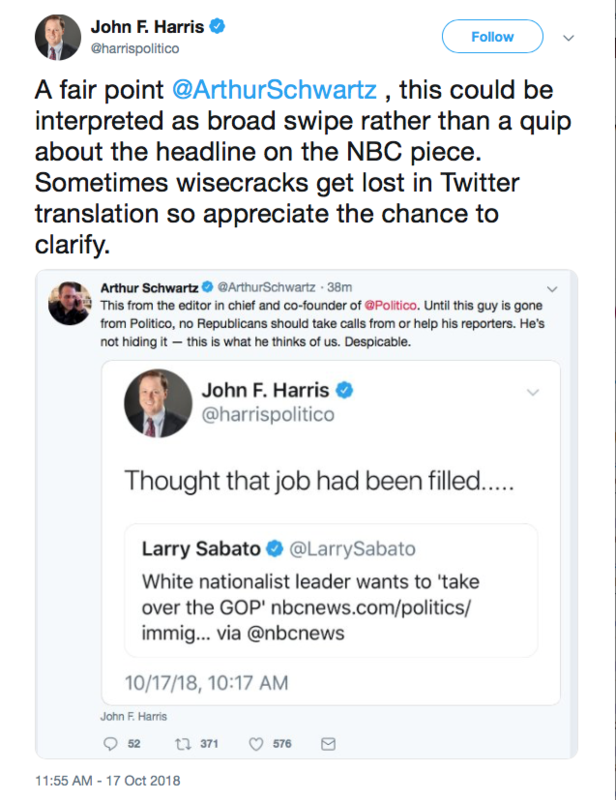 Harris later tried to “clarify” his comment, insisting it was just a “wisecrack” rather than a “broad swipe” at Republicans or the president. Other Twitter users also suggested Harris’ comment embodies why Americans have a difficult time trusting the media. WoW Very professional. And you all wonder why the majority of Americans can’t trust the MSM. Pretty clear that this is a shot at the president by a “journalist” who claims to be “editor in chief” and Politico. Just another example of the taint in the media and why their “objectivity” will always be questioned.